Some years ago, I characterised our country as a “50-50 democracy”. India is largely democratic in some respects, such as free and fair elections and the free movement of people, but only partly democratic in other respects, such as the near-collapse of the criminal justice system, and the inability to eliminate large-scale political corruption. One area in which the democratic deficit is substantial relates to freedom of expression. There are limits to what writers and artists and film-makers can and cannot do in this country. 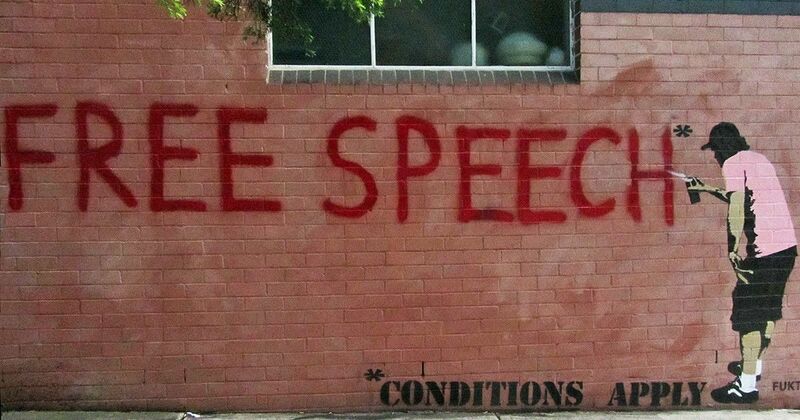 These limits to free speech have been analysed and deplored by scholars and activists, albeit mostly through a legal lens (as in Gautam Bhatia’s recent study, Offend, Shock, or Disturb). This essay, while beginning with the law, goes on to explore the wider sociological dimensions of the problem. It is not just imperfect laws, but the complex interplay of social forces, ideological biases, and political choices that inhibits freedom of expression in India. So far as I know, the first thinker to make a persuasive case for the moral and political importance of free speech was Baruch Spinoza, writing in his Theological-Political Treatise, published in the year 1670. Here Spinoza said: “No one can transfer to another person his natural right, or ability, to think freely and make his own judgments about any matter whatsoever, and cannot be compelled to do so. That is why a government which seeks to control minds is considered oppressive…’ And he further observed: “A government which denies each person freedom to speak and to communicate what they think will be a very violent government, whereas a state where everyone is conceded this freedom will be moderate”. This is persuasive, and still extremely relevant. But we must ask: Are there justifiable or reasonable limits to free speech? Or should people be allowed to say whatever they want? What about hate speech? What about admirers of Hitler in Germany? What about admirers of Nathuram Godse in India? As it happens, Spinoza had considered these questions too. In his book of 1670 from which I have already quoted, he said that while a state must grant its citizens freedom of expression, “it is very dangerous for a State to concede free speech without any restriction. For this reason we must ask how this far this freedom can and ought to be granted to each person so as to be consistent with the stability of the State.” Spinoza thus recognised limits to the free expression of one’s views. For example, if a speech, book, painting or film might provoke or lead to large scale violence, bloodshed and anarchy, thereby threatening the survival or integrity of the State, perhaps it should not be allowed to circulate freely. On January 8 this year, a media tsunami was triggered by a series of videos posted on social media by Constable Tej Bahadur Yadav of 29 Border Security Force Battalion, who was then deployed on the Line of Control in Punch Sector. His videos were picked up by national news channels and soon, everyone in the country was witness to the poor quality of food served at his post. His commentary also insinuated corruption in the supply of rations. Soon more videos by others posted in different parts of the country surfaced. These 'soldier reporters' from the Armed Forces and the Central Armed Police Forces were highlighting a host of issues that covered the entire gamut of conditions of service. The Armed Forces and the Central Armed Police Forces, true to tradition, responded by defending the system and with terse statements that the ‘aberrations’ would be investigated. The media took up the issue with a vengeance, implying that these aberrations were the rule rather than exceptions. The retired fraternity, which itself had a divided opinion on these issues (between the officers and the other ranks), joined the debate on TV media. These debates were acrimonious and circled around three core issues. The poor conditions of service with respect to rations, habitat and redressal of grievances. There were allegations that the relationship between ‘privileged’ officers and ‘suffering’ soldiers is skewed. Related to this was the issue of sahayaks, who it was alleged were being misused as personal help. As the debates got louder, it seemed as though the Armed Forces had been pulled down from the pedestal on which they had been placed by the same media and public. So much so that on January 13, former Chief of the Army Staff General Shankar Roychaudhry told Times Now’s Anand Narasimhan, "Thank you, Anand, for slapping the Army so hard. You have done enough damage to the institution of Armed Forces tonight." These are serious issues that require serious thought, rather than headline-making statements alone. I shall primarily focus on the Indian Army, but the same would generally hold true to a great extent for the other two services and the Central Armed Police Forces. No army can fight and win battles if the officers do not lead and the men do not willingly follow them. To this end, the officer-soldier relationship of the Indian Army is of the highest order. Like all hierarchical organisations, the officer has a higher status, better pay and allowance and better quarters than the soldiers. This is equally true in civil life. Egalitarianism is a goal of all societies and over the centuries the Armed Forces have also strived to give better conditions of service to the soldiers. All soldiers understand this and I have never seen any soldier begrudge the same. The Armed Forces have a good system of administration and at the worst of times, soldiers are well looked after. However, there is always scope for reform in pursuit of excellence. Special operations forces (SOF) are not a panacea for today’s complex security problems, argues Austin Long. In this article, he discusses 1) the limitations that are common to all SOF forces; 2) the curbed abilities of such forces to perform ‘direct actions’ and special reconnaissance missions; 3) the shortcomings they further have in unconventional warfare and foreign defense; and 4) the steps that might be taken to surmount these roadblocks. This article was originally published in Volume 6, Number 3 of PRISM by the Center for Complex Operations on 7 December 2016. All special operations share some common limitations, the first being that special operations (and by extension SOF) almost never achieve decisive strategic success on their own. Special operations and SOF alone can often only achieve decisive tactical success. Occasionally, special operations can have some strategic effect on their own, particularly in terms of signaling commitment and capability through discrete operations. But absent other supporting elements—whether military, diplomatic, or economic—the achievement of decisive strategic effects by SOF is very rare. For example, one of the most daring direct action missions of World War II was the German seizure of the massive Belgian fortress of Eben Emael in May 1940. Yet the German elite paratroopers’ capture of the fortress and nearby bridges would have been only a tactical success without prompt link-up with the advancing 18th Army. By linking up quickly with the 18th Army, the rapid capture of the fort enabled German conventional forces to cross into Belgium before British units could reinforce Belgian defenses, a key element of Allied plans. A new space race is under way in Asia, with China and India duelling for dominance while other countries make leaps of their own. National pride and defence are major motivators, but so are practical considerations — generating income from satellite launches, mitigating natural disasters and monitoring crops. By establishing a presence in Earth’s orbit, and perhaps the expanse beyond it, governments and companies aim to ensure prosperity on the ground. After India’s decision in November to scrap its largest bank notes, the picture on the back of the new 2,000-rupee replacement bill was surely the last thing on the minds of cash-strapped citizens. The image, though, highlights a major national achievement and emphasises the country’s highest aspiration: to secure its place among the stars. Of course, India is hardly alone up there. Regional rival China in 2003 became only the third nation in history to achieve manned space flight, after the former Soviet Union and the US. Just as the 20th century space race pitted those Cold War rivals against each other, a 21st century race is picking up in Asia, with New Delhi and Beijing doing some serious jockeying. The broad goals of enhancing national defence and gaining international prestige remain powerful motivators for reaching skyward. But Asian countries also have specific, diverse and practical ambitions: to develop their own high-speed communications infrastructure, to explore for natural resources, to mitigate natural disasters and to snag satellite launch contracts from other nations. In December, Indians saw just how valuable their space program can be. As Cyclone Vardah bore down on the southern state of Tamil Nadu, the India Meteorological Department used data from the country’s weather satellites to project the storm’s path. This prompted the evacuation of more than 10,000 people, saving untold lives. Not a few Indians take advantage of the country’s satellites every time they turn on the television. Tata Sky, a direct-to-home satellite TV company launched in 2006 by Tata Group and 21st Century Fox, is capitalising on entertainment demand among the growing middle class, providing more than 400 channels. It has a contract with the Indian Space Research Organization (ISRO) to use INSAT-4A, a national satellite system; it began 4K telecasts in January 2015. NEW DELHI: After a few timid signs of warming, Sino-Indian relations seem to be headed for the freezer. While Beijing refuses to take Indian security concerns seriously, New Delhi may have decided to take the Chinese challenge head-on. To complicate matters for India, its erstwhile ally Russia, which has become a close friend of China, is showing interest in establishing closer ties with Pakistan. The latest move that clenches teeth in India is China refusing to lift a hold on Pakistan-based Jaish-e-Mohammad chief Masood Azhar, accused of plotting multiple acts of terrorism against India, and blocking him in December from being listed as a terrorist by the United Nations. Since March China has blocked India’s attempts to put a ban on Azhar, under the sanctions committee of the UN Security Council, despite support from other members of the 15-nation body. In response, India has gone beyond expressing dismay by testing its long-range ballistic missiles – Agni IV and Agni V – in recent weeks. Pakistan, aided by China, has also jumped in by testing its first sea cruise missile that could be eventually launched from a Pakistani submarine. China’s $46 billion investment in the so-called China-Pakistan Economic Corridor, or CPEC, also troubles India as the land corridor extends through the contested territory in Kashmir which India claims as its own. India views CPEC as an insidious attempt by China to create new realities on the ground and a brazen breach of India’s sovereignty and territory. The Chinese media have suggested that India should join CPEC to “boost its export and slash its trade deficit with China” and “the northern part of India bordering Pakistan and Jammu & Kashmir will gain more economic growth momentum.” New Delhi has questioned if China would accept an identical situation in Tibet or Taiwan, or if this is a new phase in Chinese policy with China accepting Pakistan’s claims as opposed to the previous stance of viewing Kashmir as disputed territory. Faced with an intransigent China, India under the center-right government led by Narendra Modi is busy revaluating its China policy. Modi’s initial outreach to China soon after coming to office in May 2014 failed to produce any substantive outcome, and he has since decided to take a more hard-nosed approach. New Delhi has strengthened partnerships with likeminded countries including the United States, Japan, Australia and Vietnam. India has bolstered its capabilities along the troubled border with China, and the Indian military is operationally gearing up for a two-front war. India is also ramping up its nuclear and conventional deterrence against China by testing long-range missiles, raising a mountain strike corps for the border with China, enhancing submarine capabilities and basing its first squadron of French-made Rafale fighter jets near that border. More interesting is a significant shift in India’s Tibet policy with the Modi government deciding to bring the issue back into the Sino-Indian bilateral equation. India will openly welcome the Dalai Lama, Tibet’s spiritual leader who has lived in exile in India since 1959, at an international conference on Buddhism to be held in Rajgir-Nalanda, Bihar, in March. And ignoring Beijing’s protests, the Dalai Lama will also visit the Indian state of Arunachal Pradesh which China claims as part of its own territory. ​Atul Bhardwaj (atul.beret@gmail.com) is Senior Fellow, Indian Council of Social Science Research, at the Institute of Chinese Studies, Delhi. China is opening up its land borders in Xinjiang to interact more freely with Central Asia and Europe. China and Pakistan are jointly building the China–Pakistan Economic Corridor, which passes through Pakistan-occupied Kashmir. India views this as a violation of its sovereignty. Geopolitics rather than geoeconomics predominates India’s thinking on possibilities offered by the revival of the old Silk Road by the Chinese. The 3,000 km-long China–Pakistan Economic Corridor (CPEC) consis­ting of highways, railways, and pipelines is the latest irritant in the India–China relationship. The corridor connects China’s landlocked western province of Xinjiang to Gwadar port in south Pakistan. India feels that the corridor infringes on its sovereignty because it passes through Gilgit–Baltistan in Pakistan-occupied Kashmir (PoK). Pakistan and China have invited India to be a part of the CPEC, but India has declined the offer. Foreign Secretary S Jaishankar, addressing the second Raisina Dialogue, an international conference held in New Delhi, in mid-January 2017, said that China remained oblivious to the impact that the CPEC project would have on India’s sovereignty. India is also concerned over the China–Pakistan naval cooperation in Gwadar port, the entry point to the CPEC. In January 2017, China handed over two ships to the Pakistan Navy for the security of Gwadar port. India’s outright opposition to the CPEC and its indifference towards the Chinese One Belt, One Road (OBOR) initiative are difficult to comprehend. Connectivity with Central Asia and Europe through its northern frontiers would be economically more beneficial for India than continued reliance on the shipping lanes. The problem is that the Indian strategic psyche is fixated on seeing control of oceans as the only means to acquire greatness. It is for this reason that it demands freedom of navigation on the oceans, but opposes smooth trade flows across soft borders on land. If trade has the right to move freely on sea lanes of communication (SLOCs), then land-based trade should also be allowed to move with relative ease. Border disputes should not be allowed to interfere with land lanes of communication (LLOCs). In fact, India should welcome the revival of the old Silk Road as it gives India more choices and reduces its dependence on trade routes controlled by the United States (US). India’s foreign policy approach in respect of the CPEC is worrisome. It is demanding respect for India’s sovereign rights in PoK from China; something that it has been unable to extract from Pakistan in the past 70-odd years. India has never raised any concerns about US involvement in PoK. No cognisance is paid to the funding of education projects by United States Agency for International Development in PoK. Unfortunately, India continues to see China through the Cold War lens. It sees the emerging Chinese empire, but remains oblivious to the well-entrenched US empire. It sees ­Chinese ships and submarines in the Indian Ocean, but fails to see the US aircraft carriers reign supreme in every nook and corner of the ocean. The fact is that US proximity to the Pakistani ruling elite as well as its military failed to dissuade it from conducting nuclear tests in 1998 and foment a protracted proxy war against India. Yet, it is intriguing that India is willing to put all its eggs in the US basket. Ambedkar’s advice to Hindus before 1947 was to “let them go”. One wonders what he would suggest today, when the Muslim question remains largely unresolved even in truncated India, and non-Muslim minorities have been systematically cleansed from both Pakistan and Bangladesh. Some myths die hard. One relates to the circumstances in which Pakistan was carved out of undivided India in 1947. Some have blamed Mohammad Ali Jinnah’s power play with Mahatma Gandhi and Jawaharlal Nehru for the creation of this theocratic state. Others have blamed Hindu chauvinists for frightening the Muslim minorities in northern India, pushing them to support the Muslim League’s politics of separatism. Yet others have pinned blame on the Congress’ “perfidy” in excluding the League from power after it won a majority on its own in the 1937 provincial elections in United Provinces (UP). Since the Congress and the League were in tacit arrangement to defeat the landlords’ party, the National Agriculturist Party (NAP), the Congress’s decision to rule on its own was the spark that enabled the League to talk about betrayal by Hindus. This myth has been fanned by post-Partition historians, who again claimed that Jinnah was essentially secular. His obdurate demand for Pakistan was nothing but a bluff created to extract more concessions from the Congress party, even though the man himself repeatedly claimed Pakistan was non-negotiable. This bunkum was repeated by no less a person that L K Advani when he went to Pakistan in 2005, a year after the NDA’s shock defeat, and called Jinnah “secular” and “an ambassador of Hindu-Muslim unity”. This statement cost him his relationship with the Sangh leadership, but the lie that Jinnah was not really bargaining for Pakistan when his Muslim League demanded vivisection refuses to die. It was essentially restated in Pakistani historian Ayesha Jalal’s own book on Jinnah (The Sole Spokesman: Jinnah, the Muslim League, and the Demand for Pakistan). Jalal claimed that Jinnah did not want a separate Pakistan, but merely used it as a bargaining chip to obtain parity for Muslims with Hindus in India. This line has been bought hook, line and sinker by India’s Left-Liberals, who like to use this as a stick to beat down the BJP-Sangh view that Jinnah was “communal”. You only need to read Venkat Dhulipala’s monumental work, Creating a New Medina (Cambridge University Press, paperback, 530 pp) to resolve the issue. NEW DELHI: In recent months, the Army India’s armed forces have been rocked by several controversies. Of these, the most notable were the arrest of a former Chief of the Indian Air Force and the appointment of the new Army Chief. Both events have caused some consternation, if not anguish, in serving as well as retired servicemen. There has been a spate of articles and letters to editors of various newspapers and journals by veterans, expressing their dismay and concern. In this article, I will deal only with the second controversy, which concerns the appointment of the COAS, Gen Bipin Rawat, superseding Lt Generals Bakshi and Hariz, who were senior to him. This was only the third instance of supersession for the appointment of the COAS (Chief of Army Staff) since Independence, the earlier ones being in the cases involving Sant Singh and Kalwant Singh in 1957 and of SK Sinha in 1983. Of course, there were instances of the senior most person being denied the post by the simple stratagem of giving an extension to the serving incumbent or a junior contender, ensuring that the senior most person retires before the appointment falls vacant. This is the method adopted to sideline Nathu Singh in 1953 and Prem Bhagat in 1974, without resorting to supersession. As is well known, General KM Cariappa was the first Indian to command the Indian Army. On January 15, 1949, Cariappa succeeded General Roy Bucher, as Chief of Army Staff and Commander-in-Chief, Indian Army. (The designation Commander-in-Chief was discontinued, from April 1, 1955). At that time, Cariappa was the senior most Indian officer. However, very few people know that Cariappa was the third choice to become the Army Chief. Had it not been for the magnanimity and esprit de corps displayed by his juniors – Nathu Singh and Maharaj Rajendra Sinhji – Cariappa would not have become the C-in-C. When India became independent, on August 15, 1947, Field Marshal Claude Auchinleck was appointed the Supreme Commander, and General Sir Rob Lockhart became C-in-C Indian Army. On the request of the Government of India, several British officers agreed to serve, for another few years, in critical appointments. On January 1, 1948, General Sir Roy Bucher had taken over as C-in-C Indian Army. His one year engagement was to expire in January 1949, and the Government decided that he should be replaced by an Indian. At that time, the three senior most officers were Cariappa, Rajendra Sinhji, and Nathu Singh. All three were lieutenant generals, and Army Commanders. Rajendra Sinhji was a year junior, but six months older than Cariappa. Nathu Singh was two and a half years junior, in service as well as age. Being senior, Cariappa should have been the natural choice for the appointment of C-in-C, but this was not so. The first choice for the post of C-in-C was Nathu Singh. Sardar Baldev Singh, the Defence Minister in the Interim Government in 1946, had informed Nathu Singh, who was then just a brigadier, serving as Director Personnel Services in Meerut that he had been selected to be the first Indian C-in-C after Independence. BEIJING—After a five-year effort, one Chinese company recently achieved a mission of national interest: helping develop the first fully Chinese ballpoint pen. What’s not clear is whether it made economic sense. Chinese manufacturers produce 38 billion ballpoint pens a year—80% of the global market. But they didn’t make the nib, the part that holds the ball at the tip, long preferring the quality of Japanese and European made versions. Then, Beijing prodded them to look onshore. Chinese President Xi Jinping has vocally defended free trade and globalization in recent days, stepping in as U.S. President Donald Trump flirts with trade protectionism. But at home Beijing’s policy makers often promote a “Made-in-China” ethos, tapping a rich vein of nationalist sentiment. The quest, framed as a catalyst for homegrown innovation, has defined how goods are made in major Chinese industries, at times at the expense of efficiency. In this monograph, the author provides evidence to show the assertion made by Gyalo Thondup (the Dalai Lama's older brother) in his book, The Noodle Maker of Kalimpong (2015), that the Sino-Indian conflict of 1962 was one of the outcomes of the US Central Intelligence Agency's covert operation in Tibet (1956 onwards), appears true and correct. It has also been shown that the CIA's quiet admission, through Bruce Reidel's book, JFK's Forgotten Crisis: Tibet, the CIA, and the Sino-Indian War (2015), about the Sino-Indian conflict being an 'unanticipated consequence' of the covert operation, does not appear to be correct. The interpretations offered so far to explain the events leading to the Sino-Indian conflict are based on incomplete and selective use of material and accordingly fail scrutiny. The originator of the Forward Policy School was the CIA, which was to be taken to new heights in a popular account by Neville Maxwell, India's China War (1970). Since then, sufficient material has been declassified along with written accounts by persons associated with the covert operation becoming available, which reinforce the findings. This monograph presents an objective account of a very crucial six-year period (1956-1962) in the histories of India and China (and Tibet) -- the countries directly involved in the conflict. Linus Irtahk is a nom de plume of a former Indian civil servant. Turkey, which has long been troubled by Islamic State’s threats located within the territory of Syria and Syria-Turkey border area, is trying to justify Turkish military intervention in Syria against Islamic State in the context of the theory of unwillingness or inability which does not have any legal base. According to the “unwilling or unable” theory, it would be allowed to target a State harboring a terrorist or non-state armed groups. In other words, if the host state was unwilling or unable to prevent its territory from being used by non-state armed groups to carry out attacks, the victim state would defend itself by entering into that state territories under the right of self-defense. Turkey believes that Syria as the host State is unwilling or unable to control its territories which are under the Islamic State’s effective control and being used as a ground for its terrorist attacks. To protect against these threats, Turkish military forces have entered Syria on the basis of the right to self-defense against Islamic State. In other words, Turkey’s justification for the military intervention in Syria was founded upon unwillingness or inability of the Syrian government in fighting against Islamic State which has the capacity to carry out attacks in Turkey and threaten Turkish national security progressively. Nonetheless, Turkey seems unaware of the fact that the continuing attacks of Islamic State against Turkey are the consequences of unlawful Turkish military operations in Iraq at the end of 2015 on the basis of the condemned and unacceptable theory of ‘unwilling or unable’. In a similar case, intervention in Syria’s internal affairs on the basis of self-defense as a result of unwillingness or inability of the Syrian government, Turkey is violating Syria’s sovereignty and its territorial integrity, because Syria has not allowed Turkey to deploy its military forces within the country. Legally, no State can intervene in another State’s internal affairs in any case unless by the host state’s consent and invitation. In accordance with the International Court of Justice’s (ICJ) decision in Wall Case (para. 139), self-defense against non-state armed groups in Article 51 of the United Nations Charter is related only to situations in which the non-state armed groups’ terrorist attacks are in some way imputable to the state whose territorial sovereignty is being violated. Accordingly, States cannot exercise the right of self-defense on the basis of its own assessment of the situation. Therefore, it seems likely that the ICJ also has not accepted the ‘unwilling or unable’ standard. In other terms, it is only a theory that has no basis in international law. In the wake of tension between the Kingdom of Saudi Arabia and Iran, Pakistan once again becomes an important asset to the Saudis. Nothing proves this fact more than the recent visit of the Saudi Arabia’s Deputy Crown Prince and Defense Minister Muhammad Bin Salman to Pakistan for an assurance from the Prime Minister, Nawaz Sharif that Pakistan stands strong with the House of Saud. In a time where the social and political scene in the Middle East has completely shifted, Saudi Arabia finds itself cornered and alone. Due to the structural factors, economic, and sociopolitical factors, the crisis in Yemen, Iraq, Syria and Egypt have left Saudi Arabia with only one trustworthy friend in the Eastern region, Pakistan. In a face-off with Iran for executing the prominent Shiite leader, Nimr Al Nimr, Saudi Arabia is in need of Pakistan; however, one cannot disregard the discrepancy between the diplomatic reality and the social reality between the two countries that pledged allegiance to each other for the days to come. What is the diplomatic reality of the Islamic Republic of Pakistan and the Kingdom of Saudi Arabia? Jonah Blank, a senior Political Scientist with the Rand Corporation reported that Pakistan and Saudi Arabia are a “wild card” for each other. The two Sunni majority strongholds need each other for their advancement and survival in the Eastern region. Saudi Arabia’s strong ideological approach is in conflict with the Iran’s ideological mindset. Additionally, Saudi Arabia serves as the customary voice of the Muslim world that it cannot spread to other Muslim nations without Pakistan. Secondly, it needs Pakistan to diffuse the Iranian (Shiite) voice and, it also needs Pakistan’s military support from the chaos that spread to Yemen, Iraq, Syria and Egypt while Iran continues to create more challenges for the Saudis. Saudi Arabia’s stand is clear on Iran. The late King Abdullah bin Abdulaziz Al Saud advised the United States Government against Iran to “cut off the head snake.” Such rhetoric had already set the seeds of hostility deeper. Presently, the US’ own approach towards Iran has changed with Iran’s promise to U.S.A to stall its nuclear objectives. Saudi Arabia understands such worrisome situation, but holds off from aggravating the West. Saudi Arabia hoped, or perhaps it still hopes that the U.S.A will come to protect the Kingdom if it continues to purchase the weapons from the US, but no guarantee is given to Saudi Arabia. This only leaves Saudi Arabia with Pakistan that is nuclear-equipped, holds some stability and stands ready with its globally recognized militia. On the other hand, Pakistan gained much from Saudi Arabia. Pakistan has an open credit line from the Kingdom without any strict rules or regulations. The Kingdom finds it in its favor to aid Pakistan with billions of dollars, low oil prices, and respects the Prime Minister Nawaz Shariff’s once-personal relations with the Royal family. Pakistan’s chances of appearing as a strong nation in the Muslim world are now greater than before. Appearance as a leading nation along with Saudi Arabia opens doors of trust and companionship for Pakistan to other Muslim nations. Pakistan has now the upper hand of showing to the rest of the Muslim world that it can stand as a strong ally when called to defend another Muslim country; however, this begs another important question. Why has Pakistan not stepped in to defend Egypt, Yemen, Syria, Iraq, and Palestine from collapsing? The first reason is quite simple. Pakistan fights on both ends of its borders to protect itself from the affliction of terrorism in a time where the West watches every move the country makes. Secondly, it has to keep a constant eye on the India-Pakistan border with keeping in mind that India-Iran ties are strengthening. This has long been a dubious theory and events in the meantime have proven it. The main drivers of chaos in the Middle East are conflicts between Sunni and Shia Muslims, between Arabs and Persians, and between secularists and Islamists. This has been true for decades, but with civil war in Syria, the rise of The Islamic State in Iraq and Syria (ISIS), anarchy in Libya, a region-wide proxy war in Yemen, and an Iran unshackled by sanctions, it is obvious now even to casual observers. The Israeli–Palestinian conflict has been reduced almost to an asterisk. The effect of all this is something no one would have predicted a couple of decades ago and only the most astute predicted even a couple of years ago—the Sunni Arab world, unofficially led by Saudi Arabia, is quietly forging a de facto alliance with Israel against Iran. Relations between Saudi Arabia and Israel have always been terrible, but they have been improving over time at a glacial speed. When Israel declared independence from Britain in 1948, no Arab state recognized the Jewish state’s right to exist. After losing several pointless wars against Israel, Egypt signed a peace treaty based on the Camp David Accords in 1979. Jordan followed in 1994, but the rest of the Arab world, with the partial exception of Morocco, remained rejectionist. The Saudis scoffed at the Camp David Accords, but a quarter-century later in 2002 they floated a peace initiative of their own, which was later ratified by an Arab League meeting in Beirut, Lebanon. Fifty-seven Muslim states—including all Arab states—would exchange “full diplomatic and normal relations” with Israel for a “comprehensive peace agreement with the Palestinians”. In 2007, Israeli Foreign Minister Tzipi Livni openly praised it and Prime Minister Ehud Olmert said the initiative must be taken seriously. “On the surface,” wrote Gilad Sharon, son of then-prime minister Ariel Sharon, “the proposal looked appealing with its provision that the Arab states welcome peace with Israel—something they had been unwilling to do since the state’s inception. But the details made the offer unacceptable”. Summary: Building a wall is one of Trump’s major campaign promises. Under the Secure Fence Act of 2006 America spent $6 billion to build 690 miles of fences and walls along the 1,900 mile border with Mexico (in addition to existing walls of unknown length). Here Stratfor examines the mechanics of fulfilling Trump’s promises. The building of a border-length wall between the United States and Mexico is a campaign promise that U.S. President Donald Trump continues to nurture. But the construction of such an edifice is no small matter, assuming Congress would even approve or agree to fund the endeavor in the first place. Not only must the Trump administration deal with internal complications — legal opposition, issues of land ownership and physical geography — but there is also the matter of U.S.-Mexico relations and the fluid, adaptive nature of the migrant flow from South America. The need to build a complete border barrier between the United States and Mexico was a consistent feature of Trump’s campaign trail rhetoric. Even after winning the election, Trump continued to tout the wall’s necessity. Now, it is well within the new administration’s power to seek legal justification and funding to build additional barriers along the border. This could mean additional fencing, but actually building a substantial wall is no small matter. It is relatively straightforward to reinforce places where barriers, such as pedestrian fencing, already exist. But when it comes to the substantial reaches of borderland without fencing, such as the winding path of the Rio Grande as it makes its way through Texas, things become more complicated. Donald J. Trump is now the forty-fifth president of the United States. As president of the world’s strongest democracy, Trump is bound by the Take Care Clause of the U.S. Constitution to execute the laws of the land—laws such as the Taiwan Relations Act of 1979. Under the principle of separation of powers enshrined in the U.S. Constitution, the executive branch—now headed by President Trump—is responsible for implementing the laws of the land by formulating policies. As president-elect, Trump indicated that his administration’s approach to foreign policy would not be bound by the outdated conventions and self-imposed restrictions toed needlessly by previous administrations. He suggested that those policies would be recalibrated to better suit American interests in the twenty-first century. Indeed, the president-elect took a congratulatory phone call from the democratically elected leader of Taiwan—a key security partner of the United States—and questioned the efficacy of the former administration’s China policy. Despite the public outcry, nothing Trump said or did as president-elect changed U.S. policy or the law. Also, Trump was completely within his legal rights to take a phone call and “question” the former administration’s policies. (Former president Obama said as much when he stated, “I think all of our foreign policy should be subject to fresh eyes.”) Additionally, even if President Trump does change U.S. policy, there is nothing to legally stop him from doing so. While much fuss has been made about the policies in question, there has been limited discussion about the dangerous logic that feeds the fear over the president’s questioning of policy. Lost in the polemic discourse following the president’s comments is a recognition of the legal underpinnings of U.S. policies toward Taiwan, which remain ever constant, and the elasticity of the U.S. “One China” policy itself. Jeffrey Lin and P.W. Singer had a January 17, 2017 article on PopularScience.com’s website with the title above. They describe the “Sharp Sword UAV, China’s stealthy attack drone, [which] just won second place in the National Science and Technology Advancement Prizes (NSTAP).” The NSTAP is the highest honor in the People’s Republic of China, in science and technology. The prize is handed out once each year; and, recognizes citizens and organizations who have made remarkable contributions to scientific and technological progress, and to promote the development of science and technology, according to Wikipedia. Because of China’s secrecy surrounding new weapons systems, especially stealth drones, “there are relatively few photos of the Sharp Sword available,” the authors note. And, the fact that this particular drone won this prize, ‘is particularly noteworthy,” they argue. “The drone, known as “Lijan,” in Mandarin Chinese, is being paraded as a huge win for Chinese aviation technology. And, it is,” Mr. Lin and Mr. Singer wrote. Among the dead, besides Asif Chotu, was Shakirullah Jan, the leader of Ahle Sunnat Wal Jamaat (ASWJ) – the front organisation of Sipah-e-Sahaba (SSP) – who was accused of killing noted Shia cleric of Gilgit-Baltistan, Agha Ziauddin Rizvi on January 8, 2005. Over the years, Shakirullah Jan and four others who were convicted in the case repeatedly evaded arrest. A Gilgit Anti-Terrorism Court (ATC) had awarded the death sentence to Shakirullah Jan on August 10, 2015. Another terrorist killed in the January 17 encounter was identified as Noor-ul-Amin, while the fourth has not yet been identified. Earlier, on January 7, 2017, CTD killed six suspected terrorists during an encounter on Faisalabad Bypass Road in the Faisalabad District of Punjab. According to CTD Sheikhupura sources, CTD Lahore arrested two terrorists identified as Saadullah Khan and Jahanzeb Khan on January 6. They were allegedly involved in the Gulshan Iqbal Park suicide blast in Lahore. The CTD Lahore team was taking the arrested terrorists to Kot Pindi Daas to arrest other terrorists when their accomplices attacked the team and freed Saadullah Khan and Jahanzeb Khan. The incident led to cross firing between the Police party and suspected terrorists as a result of which six terrorists were killed while three others managed to escape. CTD also recovered three motorcycles, Kalashnikovs, pistols, bullets and a huge cache of explosives and hand grenades. On December 18, 2016, CTD claimed to have killed five terrorists in the Choti Bala area of Dera Ghazi Khan District in Punjab. The suspects opened fire during a CTD raid that was conducted on a tip-off about the presence of terrorists in the area. Five of them were killed while four suspects are said to have fled during the exchange of fire. Two of the suspects killed in the operation were identified as Malik Tehseen and Kamran. Arms and explosive materials were also recovered in the operation. This issue of Perspectives on Terrorism includes 14 articles, a bibliography on Islamic terrorism in Europe, and a review essay on 12 texts that deal with al-Qaida and ISIS-related subjects. The articles, which largely focus on various manifestations of European jihadism, focus on 1) the future of jihadism in Europe; 2) European extremists and the new crime-terror nexus; 3) the tactical use of single-actor terrorists by the so-called Islamic State; 4) the role of governance networks in blunting violent extremism, and much more. Where is the world's most powerful computer? Twice as fast and three times as efficient as its predecessor, China’s Sunway TaihuLight supercomputer has officially become the most powerful computer in the world. Capable of processing speeds of 93 petaflops, the system can perform around 93,000 trillion calculations per second. Tianhe-2, the previous leader of the TOP500 list of the world’s supercomputers, was also from China. Machines from the United States take third and fourth place on the latest ranking. Based at the National Supercomputing Centre in Wuxi, the Sunway TaihuLight is not only the most powerful computer in the world, it is also the first winner to be made entirely using Chinese chips. It is used for advanced manufacturing and engineering, climate and weather research, as well as data analytics. For the first time since the creation of the list in 1993, China has overtaken the US with the most computers in the list. With 167 supercomputers in the top 500, compared with 165 for the US, China has secured its spot at the top of supercomputing. This ISMG Security Report leads with comments from President Donald Trump that suggest the U.S. military will take the lead in defending civilian-owned critical infrastructure. ISMG Security and Technology Editor Jeremy Kirk explain why prosecutors contend a lapse in corporate culture at Western Union led to the illicit transfer of funds by company agents over its money transfer network; and About a senior cybersecurity policymaker who left the Department of Homeland Security with the change of administration, landing a top information security job at the investment bank Goldman Sachs. The ISMG Security Report appears on this and other ISMG websites on Tuesdays and Fridays. Be sure to check out our Jan. 17 and Jan. 20 reports, which respectively analyze a complaint filed by the Federal Trade Commission that could signal the start of a long-term battle to fix systemic industry problems related to the internet of things and President Barack Obama's cybersecurity legacy. The next ISMG Security Report will be posted on Friday, Jan. 27.